Tried to take my time more with this Brazilian themed bird. It’s found in the tropics of South America appropriately enough, Brazil being one of the countries in which you can see it. This one is predominantly blue and yellow, but has some green too. Think I’m going to quickly run out of yellow/green/blue birds to do. Ah, well. Can’t say I didn’t try. Time to actually BE disheartened now. 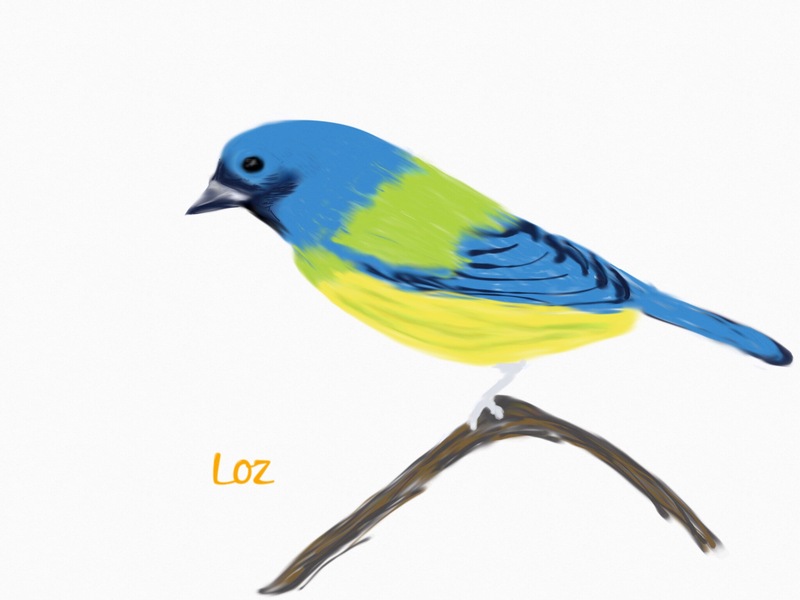 This entry was posted in art, personal and tagged art, birds, blue and yellow tanager, boys from brazil, brazil, jim kerr, setlist inclusion 2017, simple minds. Bookmark the permalink.